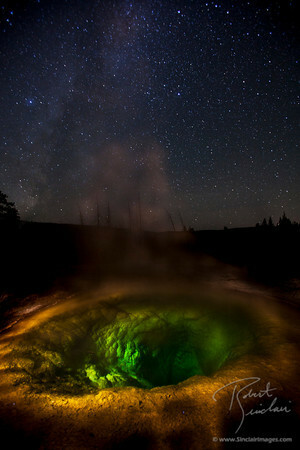 Rob's "Great Eye" photo shows the Morning Glory Pool in Yellowstone National Park under a star-filled night sky. It was selected for the Top 100 traveling photo exhibit and highly commended category in BBC's annual Wildlife Photographer of the Year - a competition that attracts more than 40,000 entries each year. 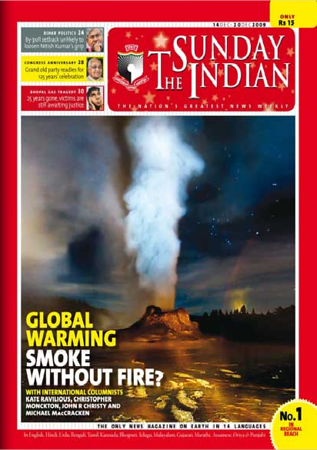 Rob's "Mignight Eruption" image was used as the cover image for this issue focused on the questions and challenges surrounding global warming. 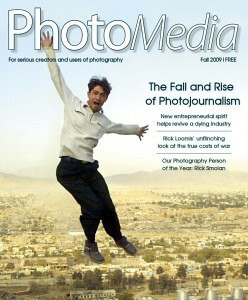 This issue's Shot in the Back featured Rob's approach to night photography and his novel techniques for light painting dynamic landscapes. 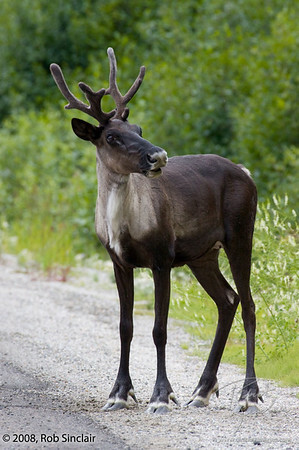 Two of Rob's Mountain Caribou images were published in Conservation Northwest's Conservation Connection Feb 2009 edition to accompany the announcement of increased protection for Mountain Caribou in southern B.C. 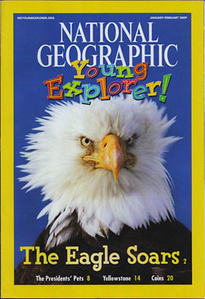 Rob's first National Geographic credit is a 3/4 page placement of his image of Castle Geyser in Yellowstone National Park. It was used to illustrate the word 'Geyser'. Rob's "Midnight Eruption" photograph was featured on the cover of the winter issue and was Rob's first international publication credit. Rob's "Midnight Eruption" was selected as the Runner-Up for the Wild Places category of the 2007 BBC Wildlife Photographer of the Year competition. 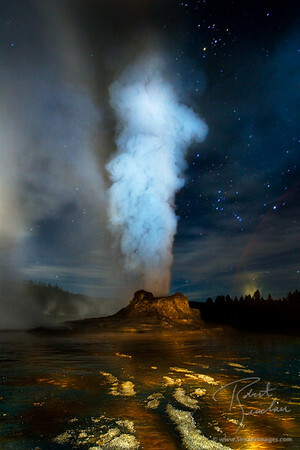 This image captures a night eruption of Yellowstone's Castle Geyser and Old Faithful (in the distant background). Rob's "Pika at Sunrise" photograph was selected for inclusion in NANPA's annual Expressions Showcase for 2006.